Sample wines at one of these 15 wineries in the North Carolina mountains and foothills, near Asheville! Create your own winery tour for a fun afternoon. Talk to the winemakers and stroll through the vineyards. Many have special events including live music. Most are closed in January for a winter break and adjust hours throughout the year, so check before you visit! The Winery at Biltmore (the most visited winery in the country) is open 365 days of the year. The Travel Channel named Asheville as one of The New Top 10 Cities for Wine Snobs! If you want to visit multiple wineries in one day, go to the Tryon Foothills Wine Country (five wineries) or drive the Catawba Valley Wine Trail (five wineries). Located near Morganton (just a few miles from I-40), a beautiful tasting room and rural setting provide a breathtaking view overlooking vineyards and the South Mountains. Sample Silver Fork's refined and distinctive Bordeaux-style wines in their Tasting Room or on their terrace: Chardonnay, Rosé, Chambourcin, Four Dog Red, Cabernet Franc, Cabernet Sauvignon and Merlot. 5000 Patton Rd, Morganton. Wednesday-Friday, 12-7 PM & Saturday-Sunday 12-6 PM. 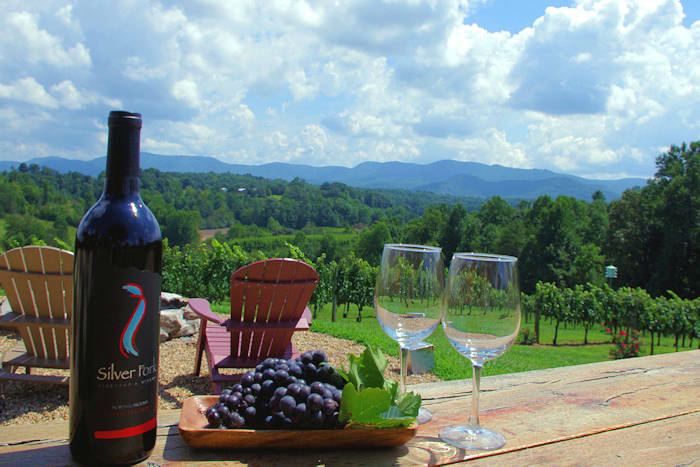 This family winery located near beautiful Lake James and Morganton is solar-powered! 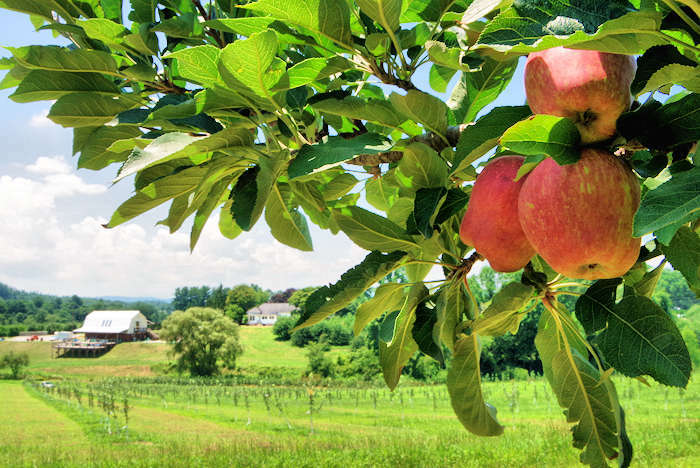 Step inside a restored 1915 textile mill building, located in Glen Alpine, to discover a variety of handcrafted wines - created from local fruits, as well as fruits from around the world. Enjoy a dry red wine, a dry white wine or a fruity sweet wine. Take time to stroll through the aisles of Old Mill Antiques, located in the same building. Address: 204 E Main St, Glen Alpine, NC. Open Tuesday-Saturday 10 AM-6 PM & Sunday 1-5 PM. 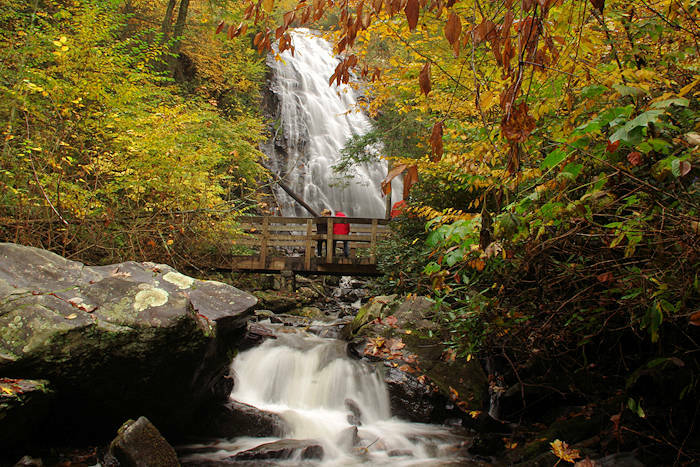 Visit three wineries in the Banner Elk area (Banner Elk Winery, Grandfather Vineyard and Linville Falls Winery). Also visit three breweries (Flat Top Mountain, Blind Squirrel and Beech Mountain Brewing). Along the way, enjoy a scenic drive high in the Blue Ridge Mountains. This family-run vineyard is located in the foothills and has a very relaxed atmosphere. Try wines in their tasting room and on outdoor patios with mountain views. They use all their own grapes: Chardonnay, Cabernet Sauvignon, Cabernet Franc, Merlot, Chambourcin, Petit Manseng and Muscat. Open Wednesday-Sunday afternoon. 382 Highway 108 East, Mill Spring, NC. This small winery has nine acres of vineyards and a tasting room. Sample a few wines on the patio, as well as their wine-flavored foods that include ice cream, sauces and chocolate. Open Thursday-Sunday 1-5 PM. 413 Gilbert Rd, Columbus, NC. This vineyard rests below the beautiful St. Anna Chapel, which is part of the Eastern Diocese of the Russian Church. They use all of their own grapes for seven varietals, including reds Cabernet Sauvignon, Merlot, Cabernet Franc, and whites Chardonnay and Sauvignon Blanc. Plus, they have a Muscadine dessert wine. 2662 Green Creek Drive, Columbus, NC. Open Thursday-Sunday, 1-6 PM. Located on a family-owned farm in the foothills, their tasting room is open year-round and features a variety of estate-grown wines, such as the estate premium Epic, a Petit Manseng white wine, and Patriot Red, a Bordeaux Blend. 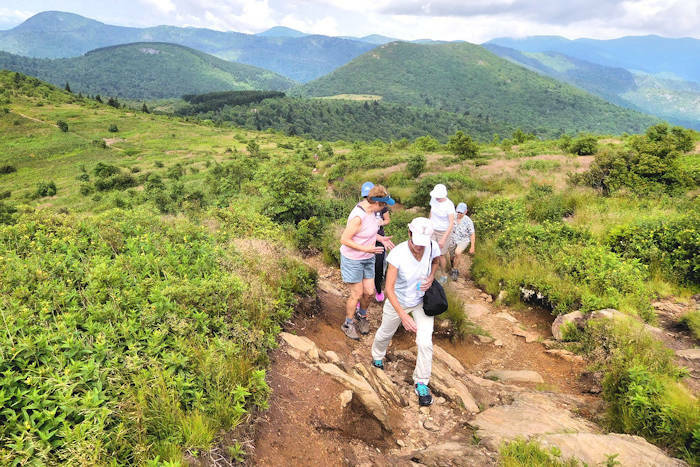 Also, hike a two-mile section of the Overmountain Victory National Trail. 2012 Sandy Plains Rd, Tryon, NC. Open Wednesday-Sunday afternoon. This small boutique family winery uses 100% local grapes harvested by hand. They keep their vintages small to ensure the highest quality - including Chardonnay, Pinot Grigio, Rose, Merlot, Cabernet Sauvignon and a Bordeaux blend. Open Wednesday-Monday afternoons. 731 Phillips Dairy Rd, Tryon, NC. This family-owned vineyard and winery is 17 miles northwest of Asheville. Sample wines from their six grape varieties at their Tasting Room with mountain views: Cabernet Sauvignon, Cabernet Franc, Sangiovese, Montepulciano, Petit Verdot and Petit Manseng. Open Friday-Sunday afternoon. Also open Thursdays May-Oct. 4005 New Leicester Hwy, Leicester.